How to Know When an Aquarius Man is Cheating? 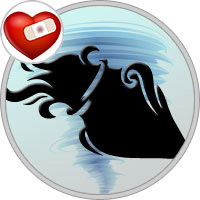 Aquarius men can be hesitant about making a total commitment such as marriage, or any other form of partnership, because of their strong desire for independence. However, when an Aquarian marries, the marriage is usually stable. They are loyal and faithful to their partner, although often they are not prone to displays of public affection. Aquarians can be amongst the most frustrating people to date at the start of a relationship. Being independent and often emotionally reserved it’s common for partners to be unsure of their feelings. The good news is that Aquarius men rarely date someone they aren’t interested in. Aquarius is an emotional cheater. They will feel super uncomfortable doing things behind your back and, subconsciously, they’ll want you to find everything out because they hate the stress of hiding stuff from you. Aquarius people love novelty and that’s the main reason they cheat. However, every time they do cheat, they realize that there is nothing really new totheir conquests. It’s a circle of sadness. Accusing you of having an affair. Well that’s just one of the nutty things men do - turn it around. They start sneaking around, so of course they suspect YOU of sneaking around. Sometimes too they’ll just pick a fight hoping you’ll avoid them. Ordinarily too distant to get particular like this, if your Aquarian guy starts paying an awful lot of attention to what you’re doing, it could be an early warning sign. Detached, intellectual Aquarius is not the most romantic sign, but these individuals still need to feel important and loved by their partners. On the other hand, sometimes Aquarians can get so caught up in their new ideas and inventions that they neglect their own partners and find themselves the victims of the cheating. Aquarius is the most unpredictable sign, so keep things equally unpredictable and you’ll keep your Aquarius interested long-term.